It’s a silly question, as I’m sure most of you would want to win the BlytheLife Holiday Giveaway! Luckily, there will be a total of three winners! This giveaway is open to international entrants, please continue reading after the prize images for more details on how to enter (and get more entries!). This giveaway is a little bit different in the number of ways to enter – there will be both prizes on the blog and on the Instagram account (@blythelifecom). 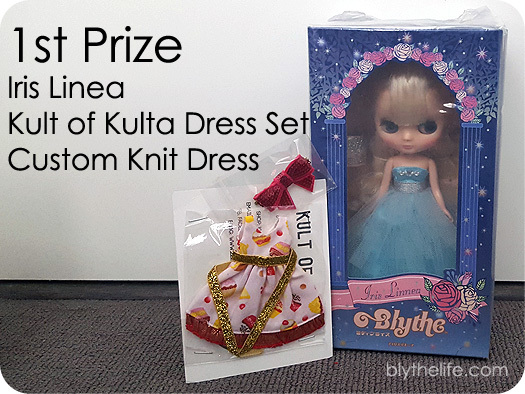 1st prize: 1 Iris Linea Middie Blythe with 1 Kult of Kulta Middie dress and bow, and 1 Middie knit dress in the colour of their choice. 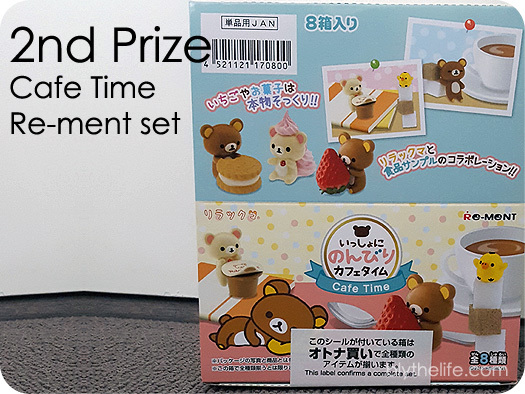 2nd prize: 1 complete Cafe Time Re-ment set. 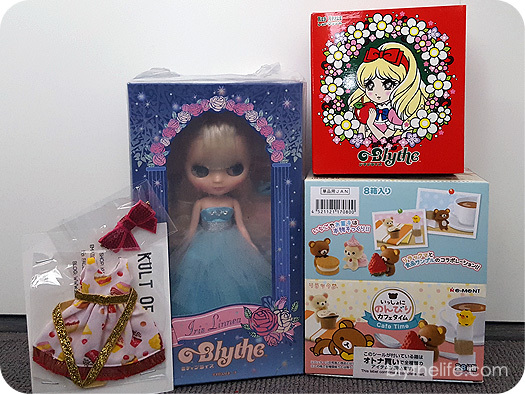 Welcome to the 2016 Blythe Holiday Shopping Guide! This is part 1 of a 3 part mini-series to help those who are trying to figure out what to buy for themselves, or what to buy for the Blythe-lover in their life. Part 1 is the $25 and under shopping guide! 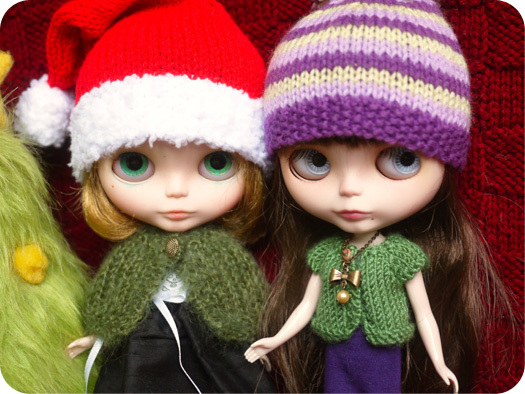 I changed it up this year by asking BlytheLife readers to join in the Shopping Guide! There’s still room in parts 2 and 3 of the Holiday Shopping Guide (feel free to scroll down for a bit more information). Do you wish your dolls didn’t have the stock pink or orange eye chips anymore? 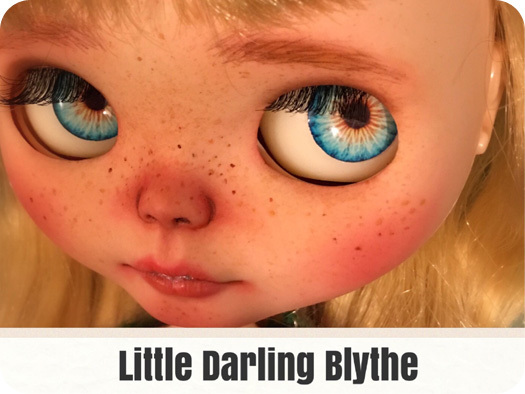 Little Darling Blythe is an Etsy shop based out of the USA that sells hand casted resin eye chips for Blythe! Cute and affordable, at $6.50 USD a pair! If you’ve never changed out eyechips before, I can tell you that it’s super easy because I’m able to do it (and here’s a tutorial!). Little Darling Blythe is offering up 15% for your total purchase with the coupon code Ldb15. Are you a knitter? 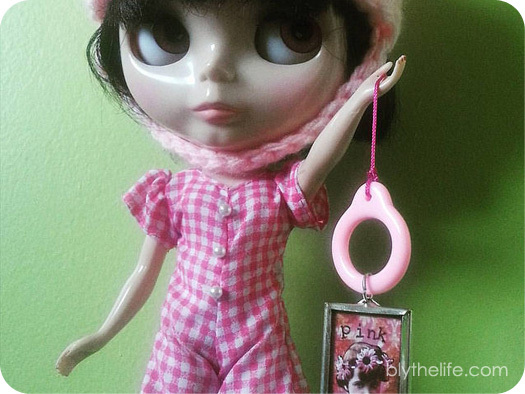 Have you always wanted to knit a little something for your Blythe dolls but weren’t sure how to begin? 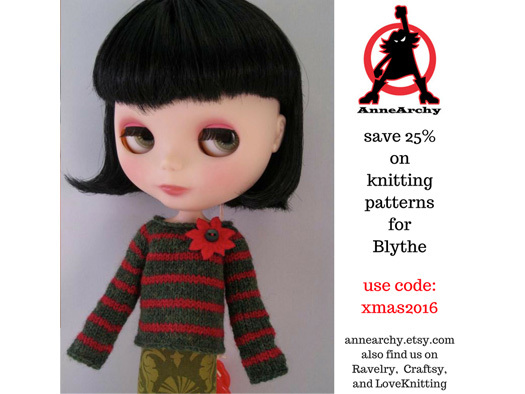 AnneArchy has knitting patterns for you (or the knitter in your life, if you want to outsource the knitting aspect of it!). Her patterns span all three sizes: Petite, Middie, and Blythe! You can save 25% off your purchase with the coupon code xmas2016. 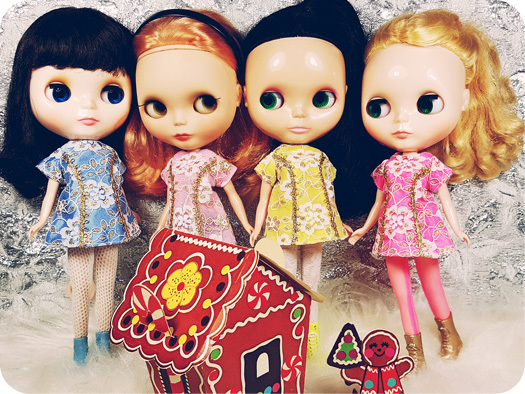 Do your dolls need a new holiday party dress? Endangered Sissy will have them covered! The new Fancy Schmancy collection is up right now, and with the coupon code BF2016 you can save 35% off anything that’s in-stock (coupon code can’t be used for holds or custom orders). It’s Endangered Sissy’s biggest sale of the year and the coupon code is good from now until 10pm MST, November 28th 2016. To finish off decking your dolls out from head to toe is Blythe Couture! Blythe Couture has cute dresses, darling separates, shiny baubles, and more! 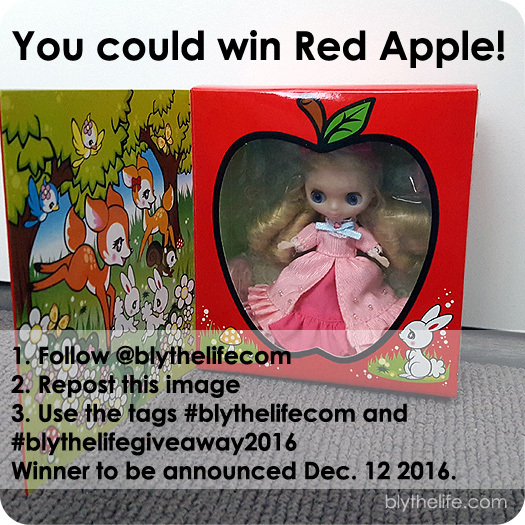 With the coupon code BlytheLifeCheer15, you can get 15% off your purchase at Blythe Couture from now until December 31st, 2016. Part 2 of the 2016 Blythe Holiday Shopping Guide will feature gift suggestions that are $25-50, while Part 3 will be $50 and up. If you’re an online shop owner and would like to be featured, please email me for more information at michelle@blythelife.com. 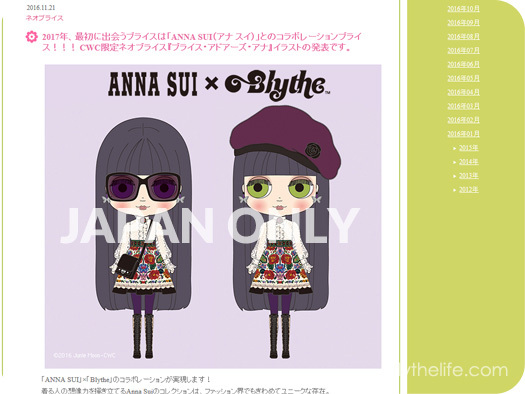 It honestly seemed like everyone was bouncing off the walls over the idea of the Anna Sui Blythe collaboration doll (if you haven’t seen the promotional illustration yet for this doll, click here! ), who is due to come out in January 2017. 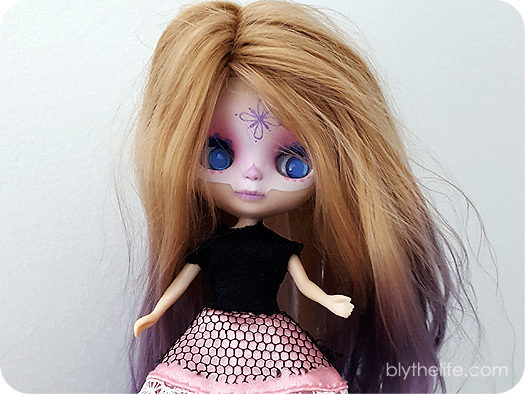 While I’ve gotten more selective with the additions that I make to my Blythe collection, I had the feelings of grabby hands when I first saw the doll’s illustration (much like what I felt when I first saw Devi Delacour’s promotional illustration images). So what does this mean if a doll if region exclusive? The doll is only officially sold/shipped to retailers within that region. In the case of the Anna Sui doll, it was reported by Tuesday that the doll is a Japanese exclusive. The doll will only be officially sold to retailers in Japan. Anyone outside of Japan will have to either a) travel to Japan to buy the doll, or b) buy it secondhand at a marked up price. With the doll being region exclusive, and likely quite limited as it is a designer collaboration, the doll is likely to be quite expensive after everything is taken into consideration (cost of doll, mark-up, shipping, potential for customs/duties). A doll that is tentatively priced at 29,300¥ (~$265USD) might end up being closer to $500USD by the end of the purchase due to the difficulty in getting it to other countries, the cost of (registered, tracked) shipping, and just price inflation based on popularity. As a fan of stock dolls (nearly all of my dolls are stock or mostly stock), I can see why the Anna Sui collaboration doll will be popular – when I first saw the images, I send it to my family to go “This is what I want for Christmas”. Now that I know that the doll is region exclusive, it makes it a lot more difficult (and more expensive) to justify the purchase. Of course, there will be those in the community who will rise to the challenge to bring that doll to areas outside of Japan (and truthfully, I do hope people are successful because I want to see this doll in person!). Keep in mind that CWC pays for and licenses the right to use the Blythe trademark from Hasbro (an American toy company) and they pay for the licensing rights for Japan and Korea only. Hasbro utilizes their Blythe trademark in North America with the Littlest Pet Shop mash-up. What do you think about region exclusive releases? Share your thoughts below!